Excess moisture is the main factor behind most bearing capacity problems and road damage on low volume roads. An example of this is in the flow of groundwater under roads constructed on side sloping ground. This flow can be blocked if there is bedrock, frozen soil or impermeable materials near to the road surface, and thus cause water to flow towards the road structures increasing the moisture content and reducing bearing capacity. For this reason road drainage systems need to work effectively over the whole life time of the pavement – and not just for a few years. Once the drainage is in order an economical and sustainable structural solution can be designed. The term ‘”resilient modulus” describes the interdependency of stress and resilient (or elastic) strain and is used to calculate the affect a load has on a road structure. 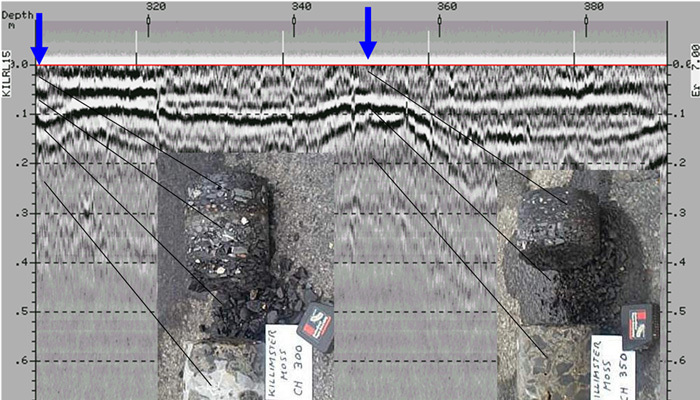 The falling weight deflectometer (FWD) is generally used to assess the stiffness of a pavement. The modulus of the different pavement layers can be calculated by using FWD data and a range of back calculation or forward calculation methods. 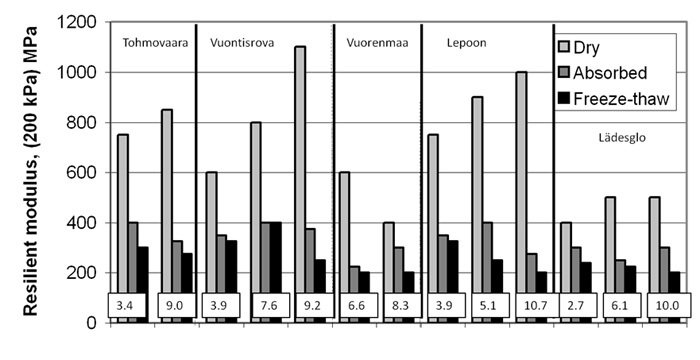 grain size distribution (fine – coarse materials) For example, with fine grained materials the resilient modulus decreases by up to 60% with increasing water content and by up to 25% for coarse grained materials. soil state, environment (freeze thaw cycles, temperature) For example on silty soils, the modulus of a material could be as low as 2 MPa during the critical thaw period and increase up to 100 MPa or even higher when the material has totally dried. 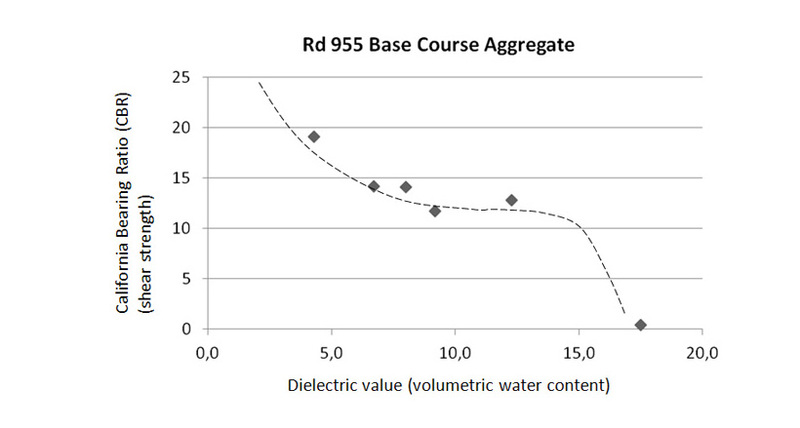 moisture content For example, an increase of 1 % in moisture content in the most water susceptible materials will reduce the resilient modulus by up to 7.2%. An increase in moisture content of 1 % in a good quality road materials on the other hand, will only reduce the modulus by 2.8 %. Mr = Kx10k3w where K is a constant. 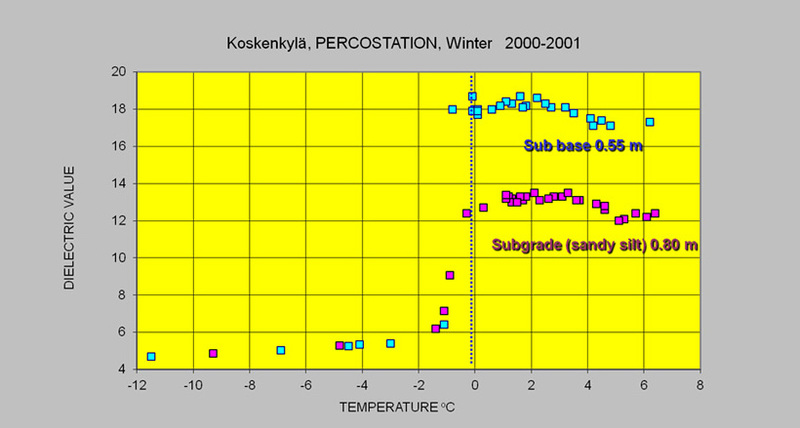 When the regression equation is transformed to into SI units, the k3 for base course materials varies between -0.0124 and -0.0324. 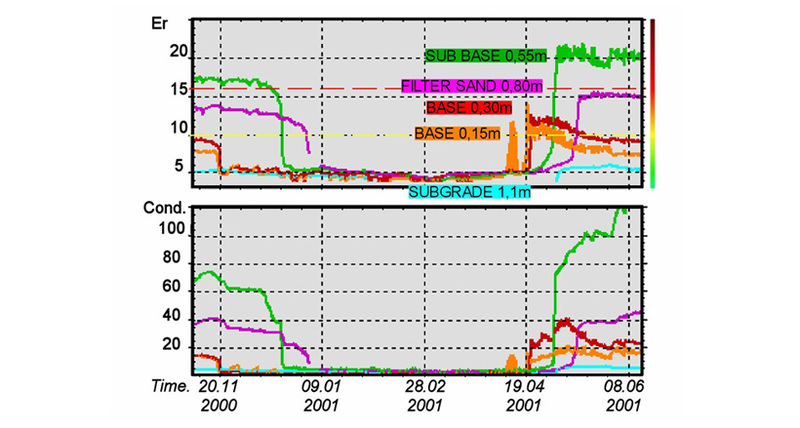 For subgrades the k3 parameter varies from -0.0122 to – 0.0554. 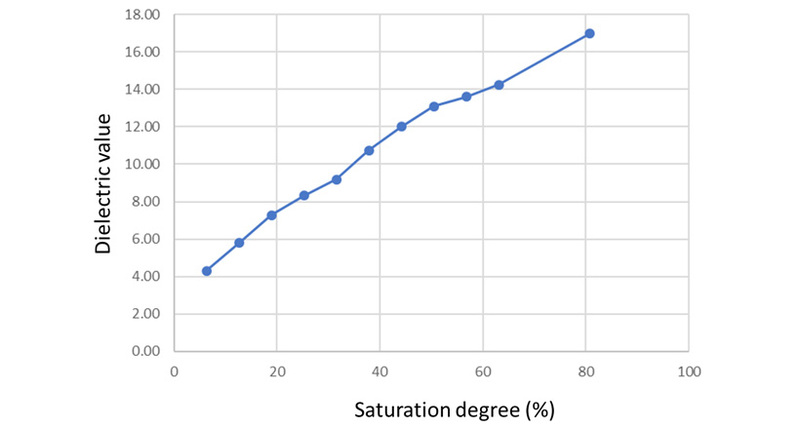 Laboratory tests have shown that under a constant stress level, the maximum modulus is obtained at a moisture content lower than the optimum moisture (Proctor) content. 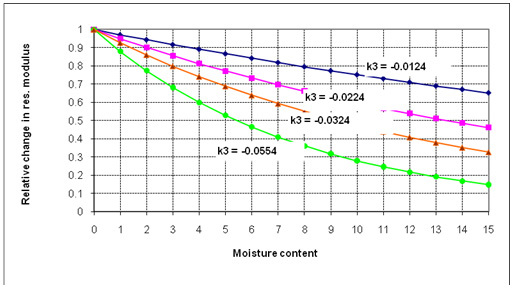 The difference between the optimum moisture content and moisture content at which maximum modulus occurs depends on the fines content of the mixture. 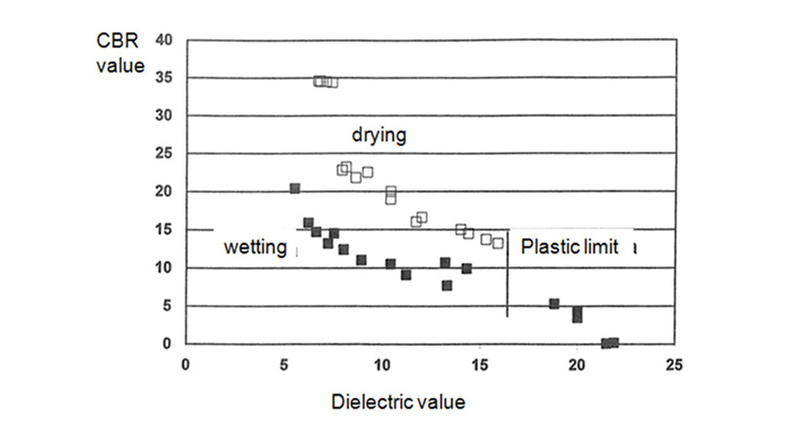 The higher the fines content is, the greater are the changes in moisture-modulus trends during the drying and wetting cycles in the material. In general permanent deformations start to take place when shear stress in the material becomes higher than 70-80% of the shear strength. 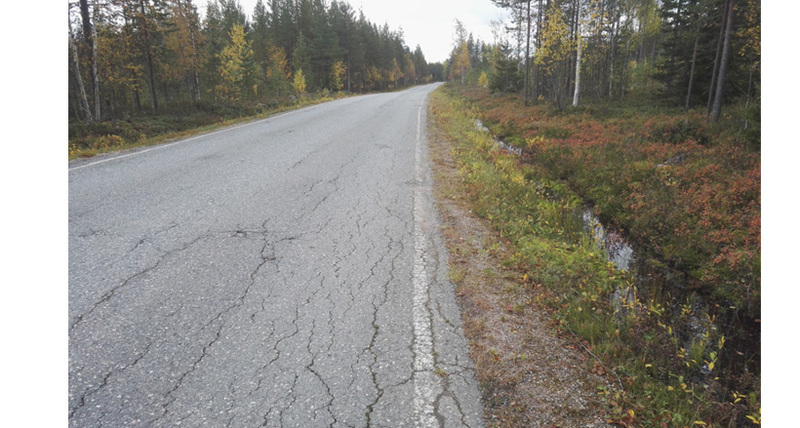 Permanent deformations in the road structure can be seen on the road surface as different forms of rutting. Permanent deformations include rutting and vertical imbalance of the road structure. The reason for rutting can be: plastic deformation in the bound layers, compaction from traffic loads, wearing of the pavement, and/or permanent deformations in the base course, sub-base or subgrade. Mode 0 rutting. This form of rutting takes place through the compaction of the non-saturated materials in the pavement structure, and in practice some level of Mode 0 compaction always happens in a road structure after its construction. Mode 0 rutting is also common when frozen unbound road structures thaw in the spring. This mode of rutting is usually self-stabilising – i.e. any compaction under trafficking hinders any further compaction. Water has normally only a minor effect on Mode 0 rutting but if the water content increases Mode 1 rutting may come into play. Mode 1 rutting. In weaker granular materials, local shear close to the wheel may occur. This gives rise to dilative heave immediately adjacent to the wheel track where granular materials can undergo large plastic shear strains and consequent dilation, leading to relatively loose material. This rutting can therefore be considered to be largely a consequence of inadequate granular material shear strength in the aggregate relatively close to the pavement surface. Water content has a major effect on the formation of Mode 1 rutting. In materials with low moisture content matric suction causes a tensile strength to be developed between the mineral particles making the material stiff. If the volumetric water content increases the material shear strength will decrease. Mode 2 rutting. The pavement as a whole may rut when good quality aggregates are used. This can be viewed in an idealized fashion as the subgrade deforming with the granular layer(s) deflecting bodily on it (i.e. without any thinning). The surface deflection pattern in this case takes the form of a broad rut with slight heave remote from the wheel (as it is the displacement of the soil which causes this). As with Mode 1 rutting water content also has a great effect on the shear strength of the subgrade soil and on Mode 2 rutting. Mode 3 rutting. In the Northern Periphery Mode 3 rutting mainly means the wear of the pavement due to studded tyres. Wear on gravel roads can also take place if the wearing course material does not have enough fines to bind the aggregates together (gravel loss). However in low volume roads Mode 3 rutting hardly ever happens and is generally only be seen when the AADT is more than 3000 vehicles / day. High water content can increase the speed of Mode 3 rutting especially on bituminous pavements. On gravel roads the effect is marginal and a higher water content will instead cause a risk for Mode 1 rutting. The lesson on Permanent Deformation discusses this issue in greater detail. When the temperature in the road structure and subgrade soils drops below 0oC degrees, all of the affected structures become frozen. Frozen materials are generally stiffer, and the bearing capacity of frozen roads is much better in the winter time compared to summer conditions. However problems will still occur if and when the frost action process takes place. In the Northern Periphery areas the disruptive effects of frost action are recognised to be the main reason for road condition management problems. Cryosuction in frost action is one of the most important sources of excess water in road structures and subgrade soils. In general there are three conditions that all have to be present before the frost action process can start. First of all the temperature has to be below 0oC degrees, secondly water has to be available, and thirdly that the material has to be frost susceptible. A good road drainage system intercepts water and prevents it moving towards the freezing front. When a road material or soil freezes the first thing to happen is that free water freezes in the pores and forms hexaconical crystals thereby expanding its volume. The frozen ice is separated from the mineral surface by a thin adsorption water film. This area, where unfrozen water exists at the freezing front, is called the frozen fringe. 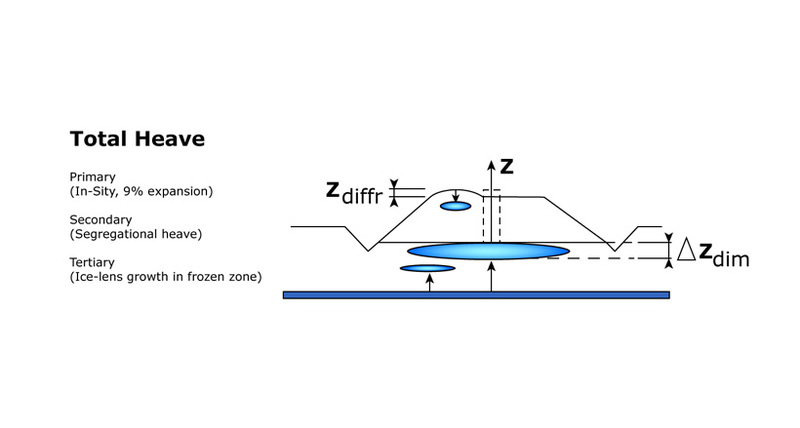 Negative pore water pressure caused by cryosuction cause water molecules to flow through the freezing front to where segregation ice is born, and these growing ice lenses cause frost heave to the structures above. 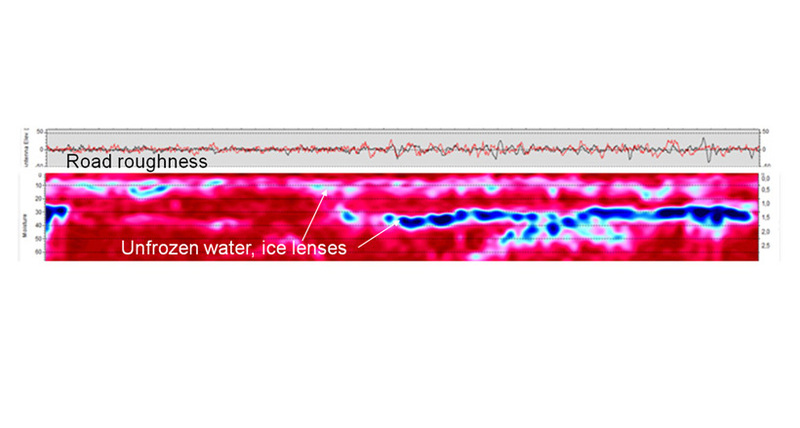 Capillary “tubes” leading water to the ice lenses get smaller with lower temperatures. At temperature of -5oC the unfrozen water content can be 2% to 12% of the total volume of unfrozen water depending on the material properties. If the temperature decreases further the amount of unfrozen water will decrease until water ceases to flow to the freezing front. In practice this means that a rainy autumn followed by a mild early winter with daily temperatures of between 0oC and -5oC will be “bad news” for roads as large amounts of segregation ice will be formed close to the road surface. When this layer later thaws volumetric water contents higher than 100% will be created in the road. On the other hand, if the daily temperatures in early winter are very low the freezing front will quickly penetrate down to the deeper layers where the formation of ice lenses do not cause so much harm to the road. When the thawing process starts high amounts of water, melted snow, and rainfall from spring rains are likely to converge on the road and its surroundings. In areas that have a low annual average temperature, thawing generally starts from the top of the road and proceeds downwards and, at the same time, a small amount of the thawing starts from the bottom of the frozen soil and proceeds upwards. 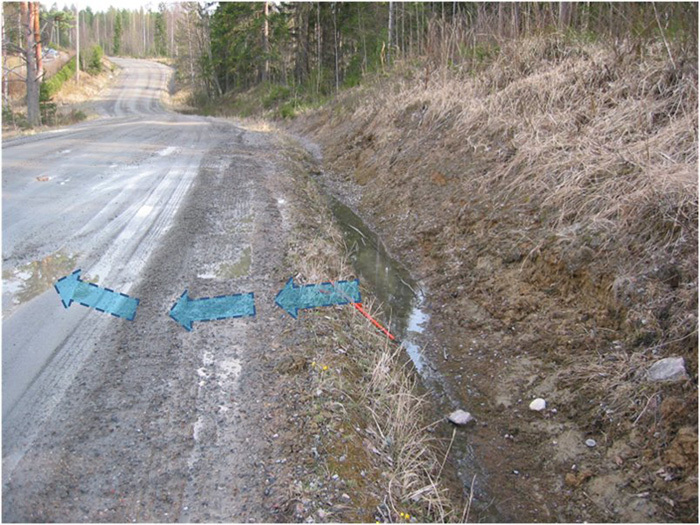 For instance in Finland the frost fronts thaw down and up to normally meet under roads at a level of 1.1 – 1.3 m. This means that, in early spring, water released by thawing ice will be “floating” on the top of nearly impermeable frozen road structure or subgrade. This excess pore water pressure can cause major permanent deformations under heavy traffic wheel loads. 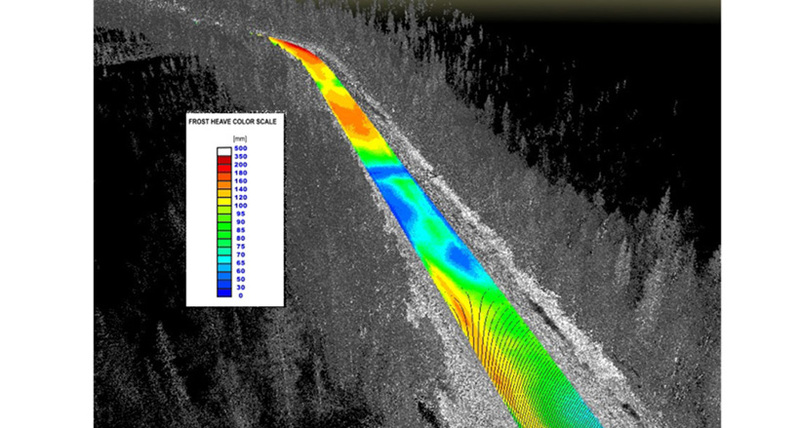 The ROADEX follow up research on drainage demonstration projects in Finland produced some interesting results regarding sheet ice and on the need for well performing drainage system when snow starts to thaw and water starts to fill the ditches. 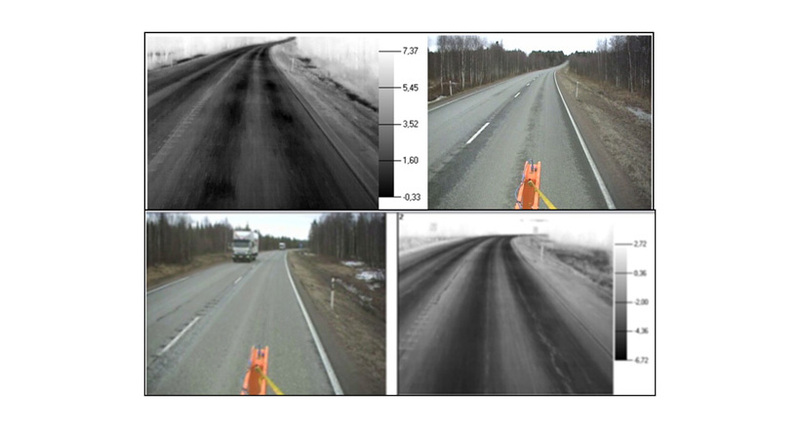 The results of frost heave measurements using mobile laser scanners showed that high frost heave can occur on road sections with sheet ice, or sections where road ditches were filled with water during the snow thawing period. 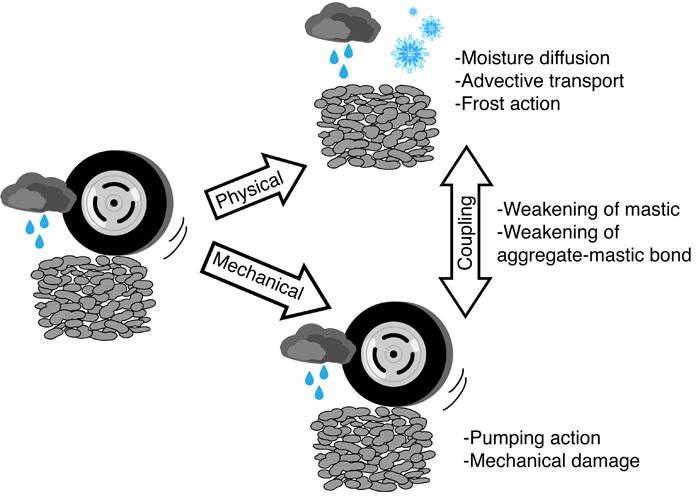 The results show that water can flow from ditches to permeable frozen road structures and form ice lenses and cause frost heave. For this reason attention should be paid to ensuring that ditches work well in the winter and early spring. Water content varies in a road structure throughout the different season. 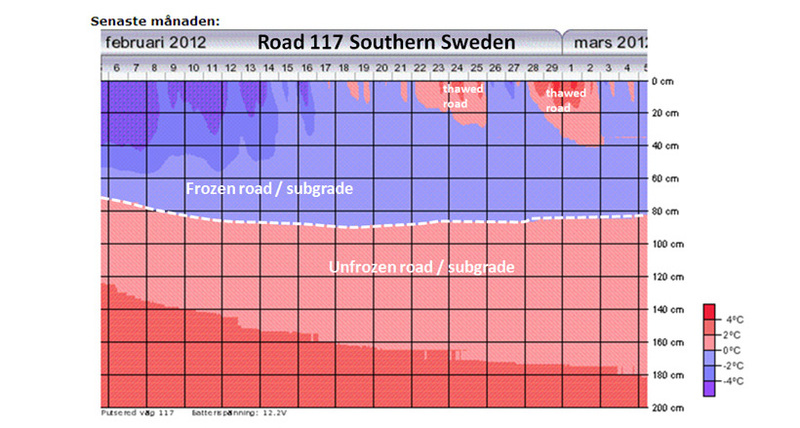 In the summer the water content in the road structure decreases at a slow rate mainly thanks to evaporation. When fall comes water contents start to rise again because of high precipitation and lower evaporation due to colder temperatures. In cold areas the road and subgrade freezes in winter and the unfrozen water content reaches its lowest value. In warmer areas, such as Scotland and Ireland, the water content in road structures is the highest after heavy rains followed by freeze-thaw cycles. 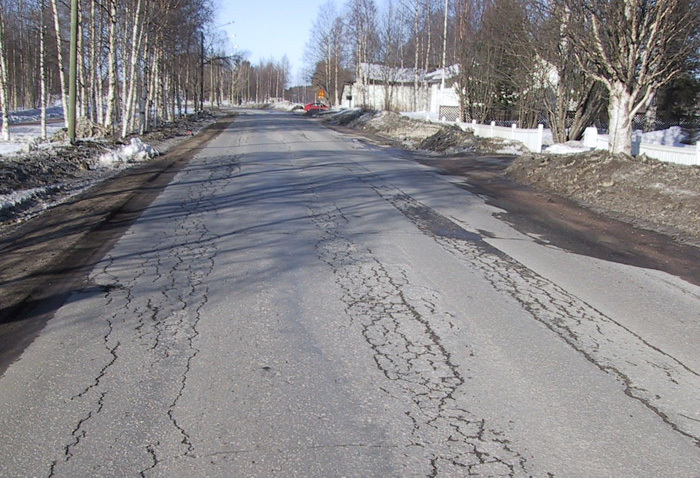 In spring when the road structure starts thaw the moisture content increases rapidly and reaches its annual maximum. Towards summer the moisture content drops again and becomes more stable. Peaks in water content graphs are usually caused by heavy rainfall, freeze thaw cycles and spring thaw. The permeability of bound layers depends on the size and interconnectivity of the void spaces. Investigations have revealed that the permeability of asphalt is insignificant below 7-8% air voids. If the air voids content in asphalt is greater, the permeability can rapidly increase. The probable reason for this is that the interconnection of voids becomes possible at these higher void ratios. Also mixtures that exhibit high air void contents may be inadequately manufactured and laid, and permeable fissures left in the pavement material. Expansion of water filled air pores in asphalt during the freezing process can cause also an increase in voids content. If the bound surface layer becomes distressed a large amount of water can infiltrate into the road structure via micro and macro cracks. The factors affecting how much water can penetrate through the asphalt are: the water-carrying capacity of the crack or joint, the amount of cracking present, the size of the area draining each crack, and the intensity and duration of the rainfall. Pavements, which have been exposed to water (and deicing salts), can begin to lose aggregates prematurely. 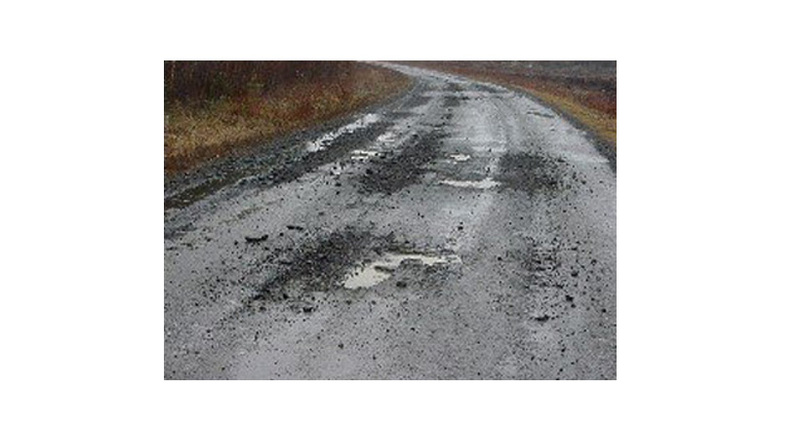 This phenomenon is known as raveling, which can lead to the formation of potholes. Animation showing the stripping process. Pavement failures can sometimes be related to severe disintegration of the bituminous layers due to poor quality aggregates adsorbing water, and/or poor drainage below the bound layers (stripping). Stripping is a problem especially with thicker bound pavement structures. High amounts of water under bituminous layers can cause high hydraulic pressures in the bottom of the bound layer when it is subjected to heavy traffic wheel loads. These effects act like pressure washes and break the bond between the bitumen and aggregate surfaces. If pavement is porous they can also lead to pumping. 2) the advective transport, i.e. “washing away”, of bituminous mastic due to the moving water flow through the connected macro-pores. In practice all of the physical material degradation processes interact with the mechanical processes to produce an overall water-mechanical damage in the mixture. Additionally the extensive use of deicing salts, together with freeze-thaw cycles, can cause severe damages to bituminous pavements.